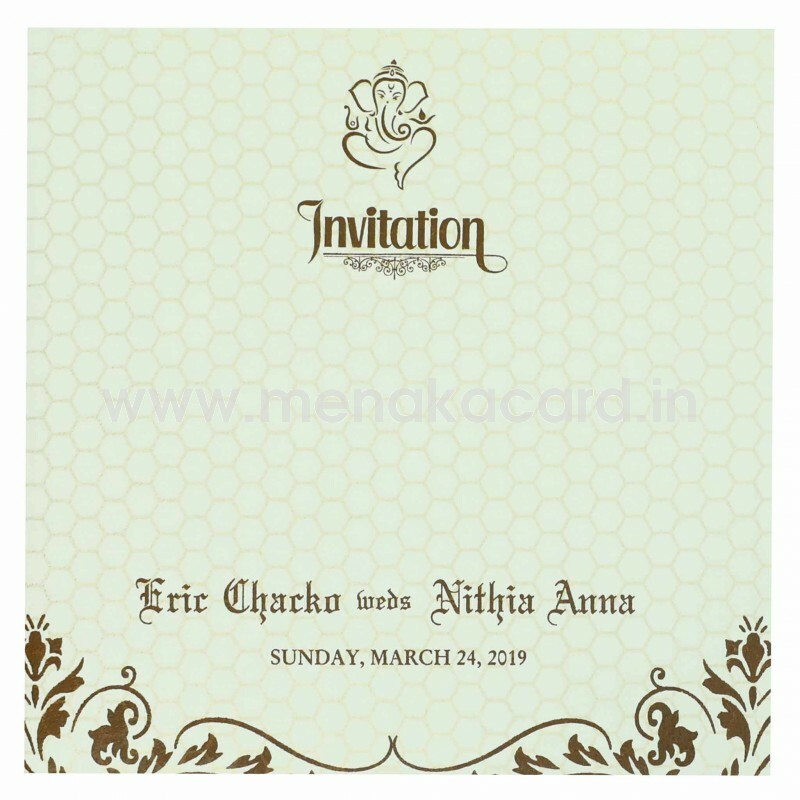 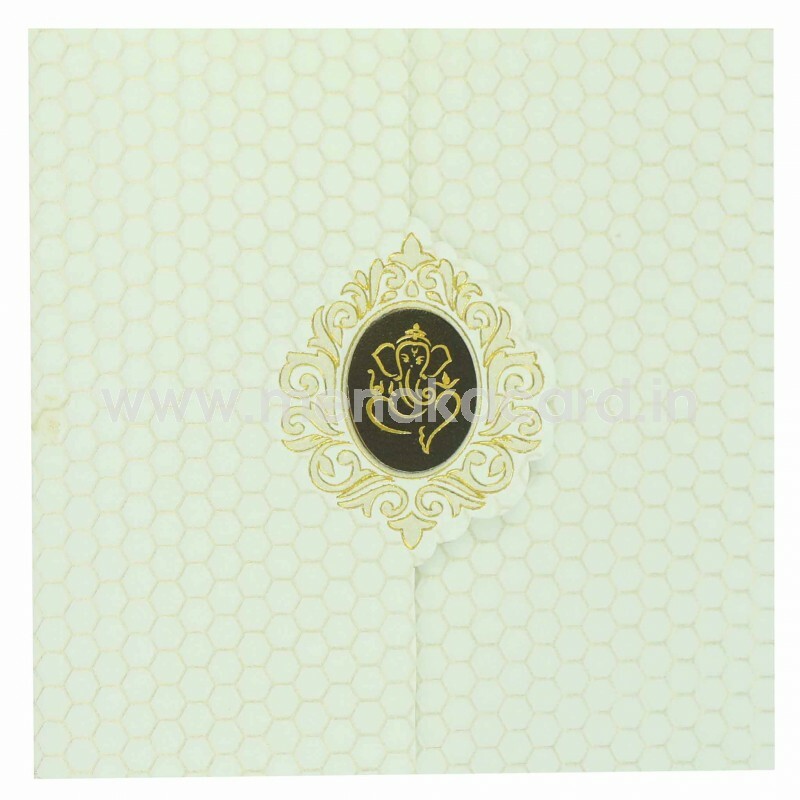 This radiant Off-white card is made from a thick matte finish art board that has hexagonal lattice patterns embossed into the door folds of the card in gold ink. 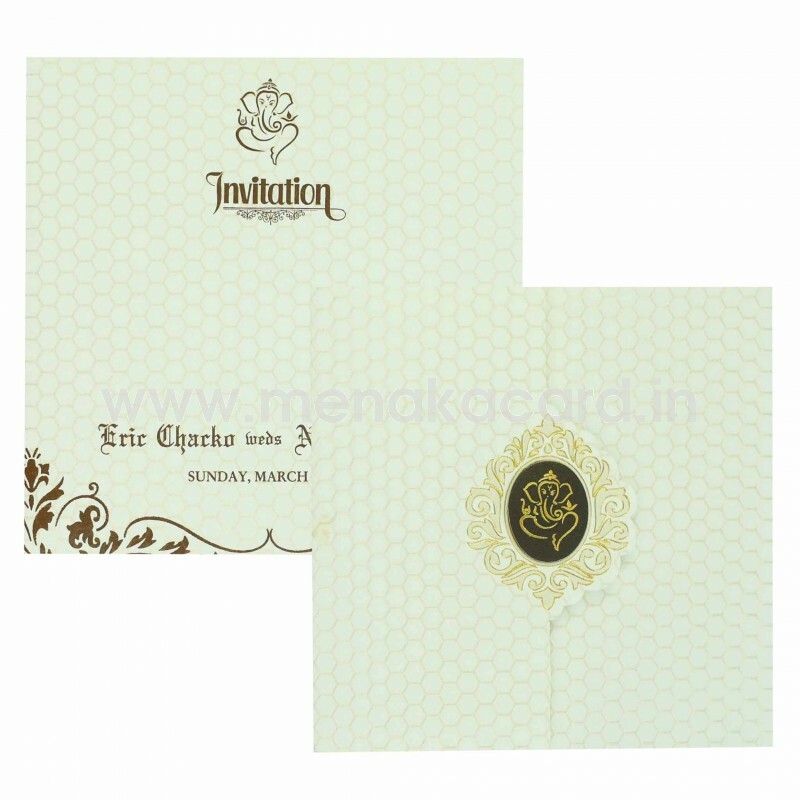 The main flap opens at the ornate Ganesha floral badge in brown at the centre, The inserts of the card are also made from the same material of the card and can have content in any ink of choice.The envelope mirrors the pattern of the card in chocolate brown. 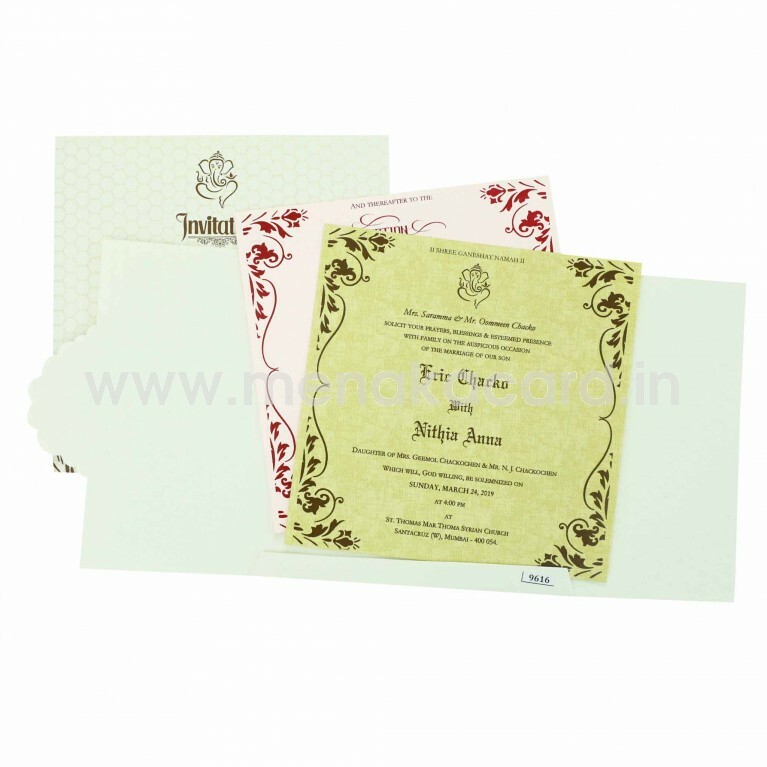 Generally used for Hindu weddings this can be used for other Hindu functions as well.